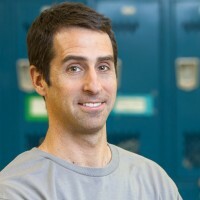 George founded StreetSquash in 1999. He received a BA in Spanish Literature from Harvard University, where he was a co-captain of the 3-time national champion varsity squash team and earned All-Ivy and All-American titles. After his 1992 graduation, George spent 4 years teaching Spanish in Seattle middle and high schools. He also played squash for the U.S. team in the 1997 Maccabiah games. George earned an MSW in 1999 from the NYU School of Social Work and is a certified social worker in the state of New York.